Midi Bottle 20cl (200ml) Cherry & Almond Gin is a unique product from the Cheshire Gin Company. This Gin is handmade in small batches using organic and foraged botanicals gathered by the Cheshire Gin team. Infused with cherries, natural almond flavour and produced using Buxton Spring Water the result is a subtle yet wonderful homage to the Cherry Bakewell tart. The natural pink colour of this gin is makes an attractive addition as a cocktail with tonic over ice or even served its own. Try adding Cherry Bakewell Gin to Prosecco or Champagne to create a delectable Cherry Cocktail fizz. This product does not contain nuts. 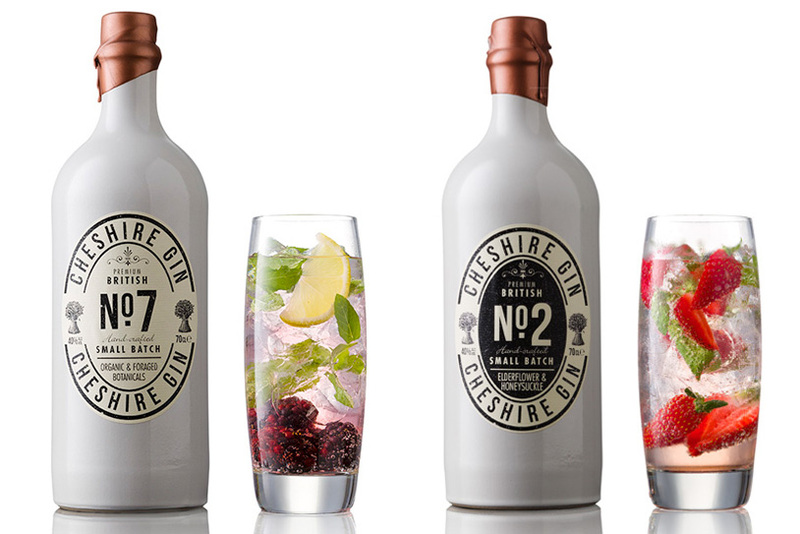 Miniatures of all of the Cheshire Gin range are available to purchase. How do we ship big bottles of Cheshire GIn safely to you? We use Air Shock Packaging which is a jacket we inflate with air around your beloved bottle of Cheshire Gin to prevent damage whilst being delivered to you.